Your home and car loan rates may soon come down after the Reserve Bank of India's, or RBI's, decision to cut the repo rate by 25 basis points or bps to 7.75 per cent on January 15, much ahead of the February 3 policy review. The cut in the rate at which banks borrow from the RBI for short-term needs is the first in 20 months. The last cut (from 7.5 per cent to 7.25 per cent) happened in May 2013; the rate was increased two times (by 25 bps each) after that. The out-of-turn rate cut has given hope that the RBI has reversed the interest rate cycle and further rates cuts are on the horizon in 2015. "We believe this is the beginning of a big rate cut cycle. We expect a further 125 bps cut over the next 12 months, a cumulative 150 bps in this cycle, if CPI (consumer price inflation) stays closer to 5 per cent in most of 2015," Morgan Stanley said after the RBI's decision. The cut will reduce the cost of capital for banks and, in turn, cause lending rates to fall. Banks are saying that there is scope for a rate cut as the RBI's recent move indicates the beginning of a rate cut cycle. However, at what pace banks will cut rates will depend on their balance sheets, credit policies and asset-liability situation. "The lending rate cut depends on deposit rates. As and when deposit rates come down, lending rates will also fall. Some banks have already cut deposit rates. When the impact of the same is seen on the credit cost, the rates will come down," says Ashish Parthasarthy, treasurer, HDFC Bank. According to Parthasarthy, most banks will start cutting rates before March. Some banks are likely to soon hold meetings of asset-liability committees to decide the course of action. Asset-liability committees monitor asset (loan given and investments) and liability (deposits) situation of banks and suggest policies in case of changes in the interest rates cycle. "We had reduced the base rate in June 2014. After the recent RBI move, we are assessing the situation. Our asset-liability committee will meet in a week or 10 days," says KR Mohana Chandran, GM and chief risk officer, Federal Bank. 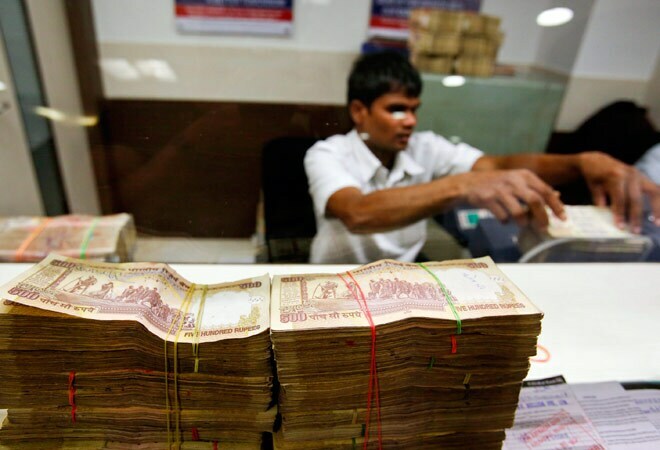 United Bank of India has already cut the base rate from 10.25 per cent to 10 per cent. Base rate is the rate below which banks cannot lend. Lending rates are base rate plus a spread. For example, ICICI Bank's lending rate for home loans of less than Rs 75 lakh is base rate (10 per cent) plus 0.10 per cent (10.10 per cent). 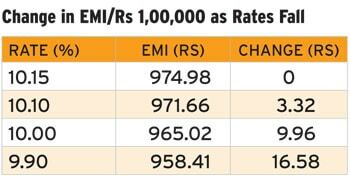 Some banks have also started cutting deposit rates. Oriental Bank of Commerce (OBC) recently reduced interest rates on deposits for 2-10 years 50 bps to 8.75 per cent. The RBI has also reiterated that the spread charged by banks from existing borrowers should not be increased except on account of deterioration in customers' risk profile. It has also asked banks to spell out the rationale for their pricing policy and the range of spread for given borrower categories. The rate cut has also cheered real estate companies as they feel it will not only boost sales but also bring down their borrowing costs. "This repo rate cut, though insufficient, is a timely dose to revive consumer sentiment. The real estate sector, along with other areas of the economy, now has a reason to cheer, not merely because of rate cut but also the underlying positive message sent by Raghuram Rajan (RBI governor) and his team," says Aman Nagar, director, Paras Buildtech. "It is now banks' turn to pass the benefit to consumers. We hope to see home loan rates come down to 8 per cent in the near future." says Ajay Aggarwal, managing director, Microtek Infrastructures. Meanwhile, the latest repo rate cut and expectation of more rate cuts this year have stoked bullish sentiment in the bond market. The 10-year government bonds, trading at just 7.7 per cent, are expected to trade between 7.2 per cent and 7.5 per cent. Debt fund investors will gain from a rate cut and the resultant drop in yield. They should invest in duration funds - income funds, short-term bond funds, etc - that gain from drop in rates.